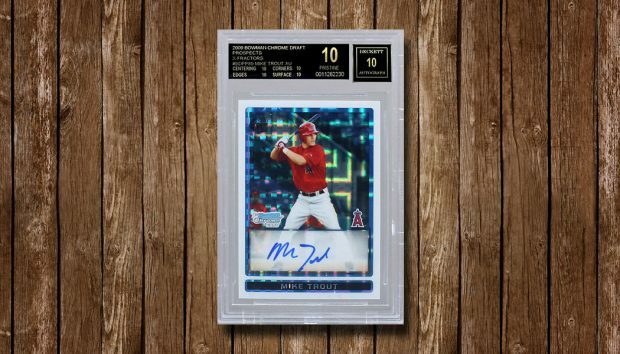 Details on a 2009 Bowman Chrome Draft X-Fractors Mike Trout autograph landing a perfect BGS 10 Black Label grade. 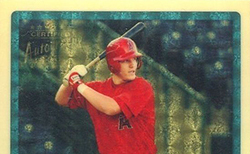 Did the 2009 Bowman Chrome Draft Mike Trout Superfractor Autograph Sell for $400,000? 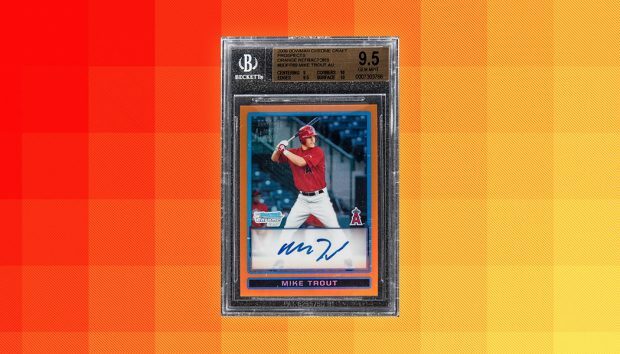 Details on the possible sale of the 2009 Bowman Chrome Draft Mike Trout Superfractor autograph for $400,000. 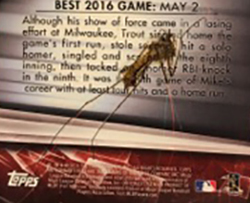 What happens when a bug gets caught up in the baseball card production process? 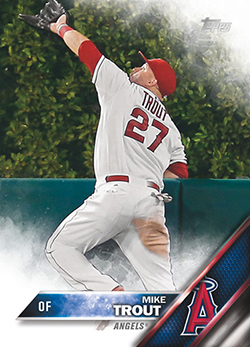 A really strange Mike Trout card. 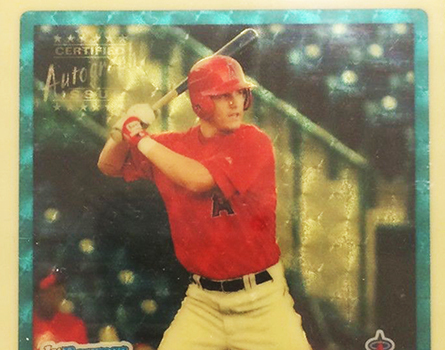 Is the 2009 Bowman Chrome Draft Mike Trout Superfractor Autograph a $500K Card? The collectors have spoken. 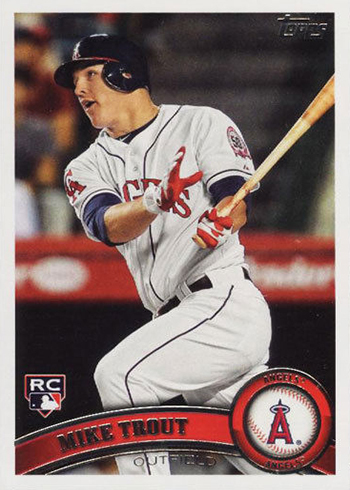 Mike Trout has been voted to lead off the 2016 Topps Baseball checklist. 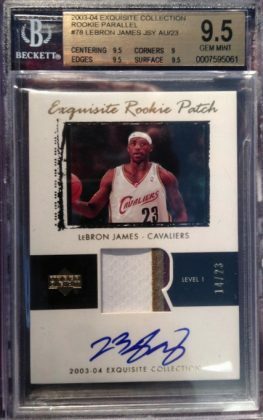 BGS Diary: Seeing gold, stickers … and furry autos? Here is the batch I got back from BGS for April — so here is my latest BGS Diary entry. 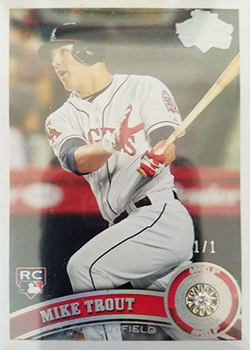 Can you predict which cards Beckett Baseball Editor Chris Olds will get graded this month? 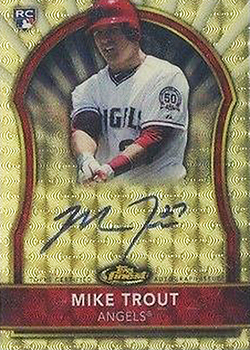 Here are my picks for five cool Trout autographed cards -- not the most-important cards, just impressive ones. 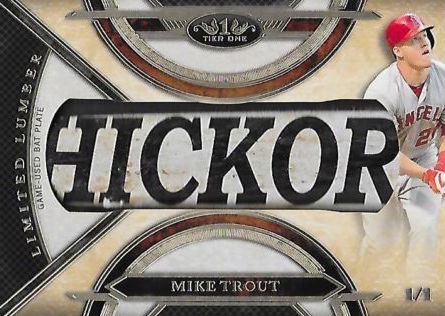 Topps' latest line of MLB wall art might be its finest -- and rarest -- one yet. 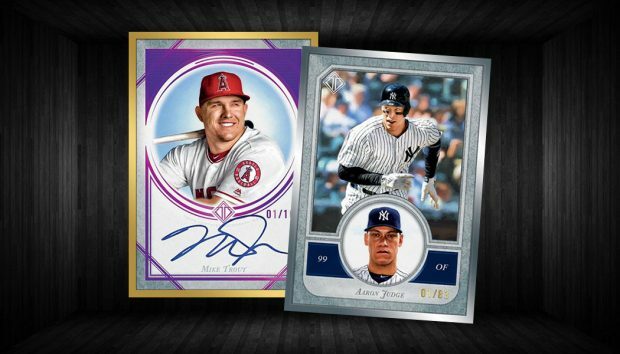 What does Topps’ Mike Trout deal mean? 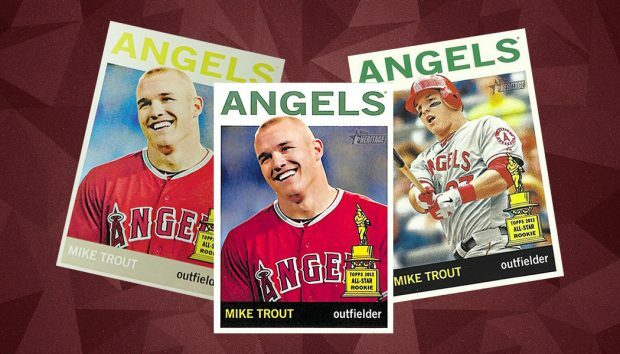 What does the Mike Trout exclusive with Topps mean? 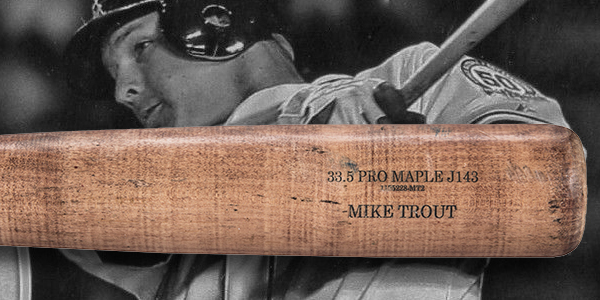 Baseball's biggest young star has a new home. 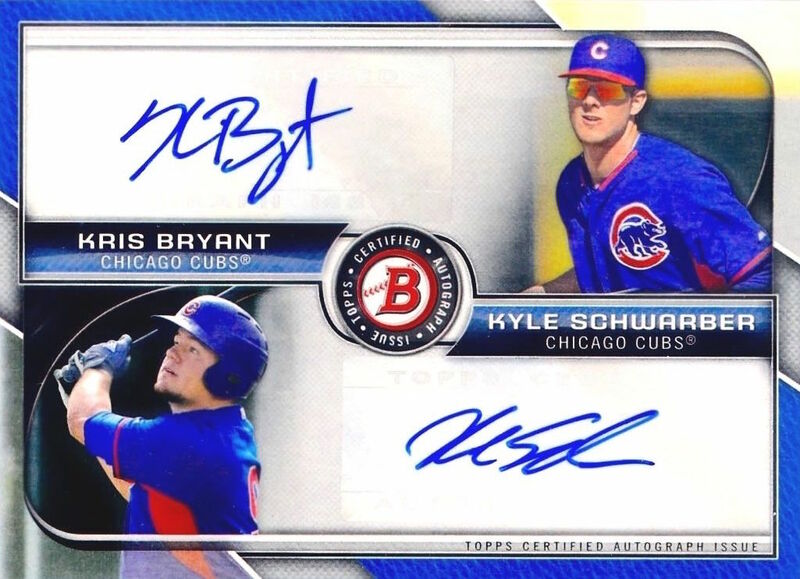 Ever wonder which Bowman Chrome prospect/rookie autos (excluding parallels*) are the most expensive? 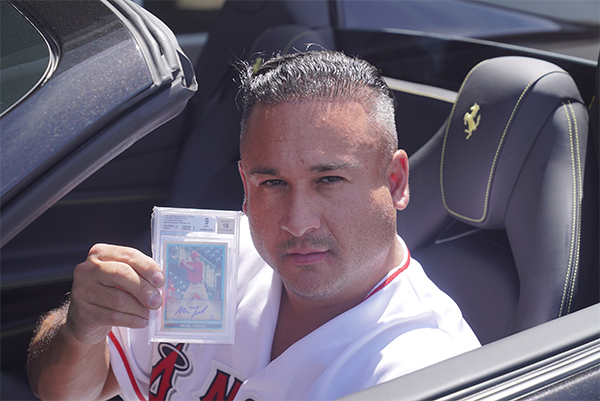 Two of baseball's hottest rookies will headline Topps' wrapper redemption programs at this year's National Sports Collectors Convention in Cleveland. 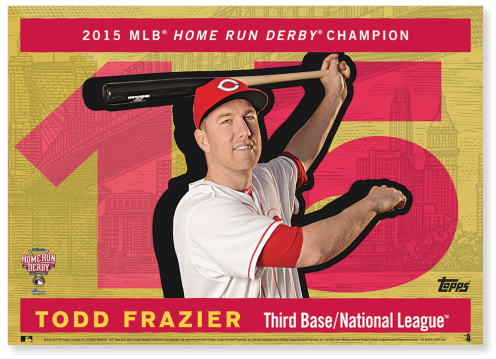 If you're a fan of 1955 Topps baseball cards, then the company's latest creation is for you. 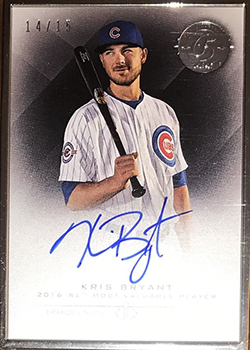 Topps is going high-end once again with its baseball cards. 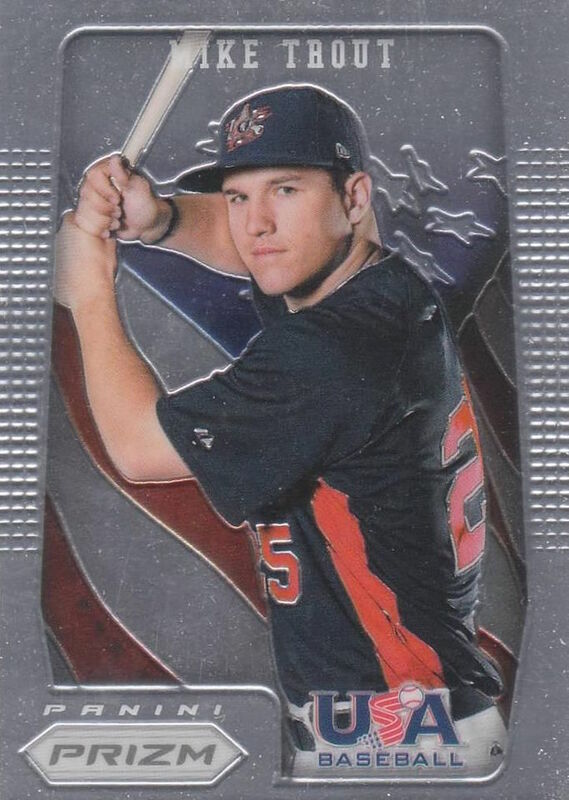 Your Turn: Who is your player to watch in MLB? Tell us who is your player to watch this season.